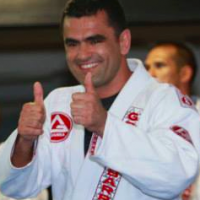 After your head instructor, your training partners at the Gracie Barra School are the most important factor to your learning and enjoyment of jiu-jitsu. These training partners are the ones who help you sharpen your skills and be your very best. 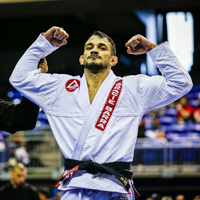 Any time a discussion of jiu-jitsu “pet peeves” comes up, there are a few topics that always seem to rise to the top among jiu-jitsu students. 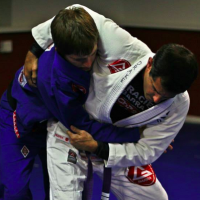 There are some things that misguided training partners can do that can irritate even the most easy going jiu-jitsu practitioners. 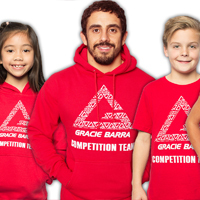 In the interest in maintaining the positive spirit of cooperation and respect in the Gracie Barra School, let’s discuss a few of the most common problems and understand how we can be the best possible training partners. 1) Personal hygiene. This is by far the #1 gripe of jiu-jitsu students when it comes to problem training partners. Don’t be the “smelly gi guy”. Your gi and rashguard should be washed clean before every class. Your training partner will certainly notice if your unwashed gi is emanating any bad odors and not enjoy partnering with you in the future. Don’t leave a wet gi to sit for a long period in your gear bag after class. Air dry it as soon as possible after training to prevent funky smells from growing in the gi. In addition, pay special attention to trimming finger and toe nails short. Many jiu-jitsu students have been scratched during rolling by a too long nail which could easily been avoided by 5 minutes trimming at the start of the week of classes. If you enjoyed a pre training meal heavy with garlic, it might be a good idea to keep some mouthwash or strong breath mints in your training bag to make sure your breath doesn’t overwhelm your partner in close quarters. No one at the School likes the job of having to tell another student that they have neglected their personal hygiene, so please pay close to your habits in consideration of others. 2) Avoid illegal or overly rough techniques. I am some times amazed when I see one jiu-jitsu student attack an illegal technique during a roll. I watched one student jump on a heel hook during sparring and the instructor immediately put a stop to the match and explained to the misguided student that heel hooks were prohibited in the normal training in the School. Heel hooks are forbidden among lower belts at the majority of jiu-jitsu schools so this is not secret knowledge. Now, if you are preparing for a specific competition that allows heel hooks, fine. Prior to rolling discuss that heel hooks or toe holds or whatever techniques you want to train are fair game in your training. 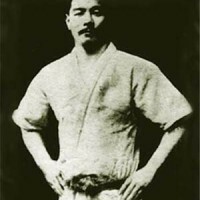 Otherwise, a good guideline to follow are the IBJJF rules for legal techniques for your belt level. 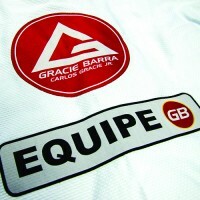 Our highest priority is to keep ourselves and our training partners safe in the Gracie Barra School. Part of that is respecting the rules to avoid potentially injurious situations. “Rough” techniques are a little different but won’t make you any friends in the School An example is attacking the rear naked choke. When the opponent defends, you should seek to overcome their defense with a clean technique. Alternatively, you * could * rake your bony forearm across their lips or nose and get the choke through pain compliance…but that isn’t going to make anyone want to train with you and create some ill feelings. Balance your intensity with taking care of your training partners. 3) Tap! Truthfully, no one enjoys tapping. Competitive personalities are drawn to jiu-jitsu and part of what makes them successful is their unwillingness to easily give up. Especially with the Professor watching them roll, some students don’t want to tap (and especially to a lower belt!) and this can lead to them allowing their elbow or shoulder to get forced too far in a submission…pop! Ouch! 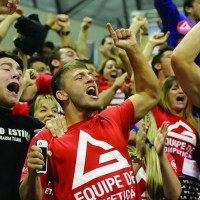 Not only is the student sidelined from jiu-jitsu training until the injury heals but the training partner who was applying the submission feels bad about it. No one wants to injure a training partner, but by someone refusing to tap, they have been placed in an awkward situation. Now they feel badly about a situation that easily could have been prevented. Don’t be the stubborn person who refuses to tap then yelps in pain when it goes too far, bringing the entire training room to a halt. Just tap and start again. It is sometimes necessary to release a submission on a training partner who is too stubborn to tap for whatever reason. Yes, you probably could eventually have gotten the tap if you held onto the submission, but the higher aim is to train safely and avoid preventable injuries. Sometimes that means letting go of a submission. Hope these reminders of how to be a great training partner help to make your School a fun safe place to enjoy jiu-jitsu!